Nowadays there is a great choice of different fan ranges available for everybody who has to select fans for a ventilating and air-conditioning system. Every execution has been optimized to its strengths. The extensive product range of Nicotra Gebhardt offers the opportunity to find just the right fan for every application. Our organization is engaged in this domain, we are offering a high quality DIDW Backward Curved. 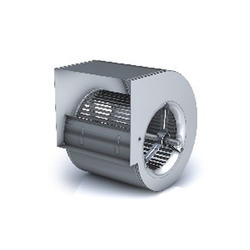 Belt driven centrifugal fan with double inlet. 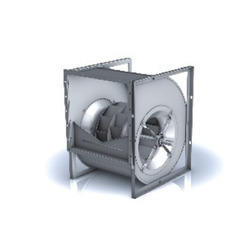 The ideal and cost effective fan for demanding requirements in ventilating and air-conditioning systems.High flow rate, high pressure and high efficiency. By keeping track of the latest market developments, we are offering a premium quality DIDW Forward Curved Centrifugal Fan. Ideal and versatile fan, use for many standard applications of ventilating and air-conditioning systems, offered forward curved fans are designed with high precision using excellent quality basic material as per the set market norms. These forward curved fans are provided in various sizes, dimensions and other associated specifications according to the various needs of customers. Our organization is engaged in this domain, we are offering a high quality SISW Forward Fans. 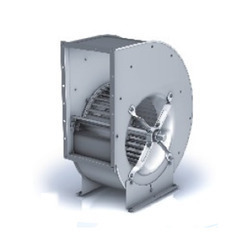 This is Belt driven centrifugal fan with single inlet which is perfectly engineered & widely used in various industries for several applications. We provide these centrifugal fans to our customers after precise quality tests. These centrifugal fans are manufactured using top grade material in accordance with market standards. Looking for Belt Driven Centrifugal Fans ?